As of this writing, it is the middle of 2014. Information technology is exceedingly more and more sophisticated, business is conducted with highly complex and macrotized operating models, information is stored in petabytes, and becoming “lean” and more “agile” is not just a desired operating mode or mantra but it is de rigueur for most companies; especially when these entities engage in mergers and acquisitions in order to maintain or amplify a competitive edge. The back office backdrop is no less significant. The drive for performance and operational output in the analysis, development and marketing of new products and services require increasingly more dependencies on the commoditization of information, domain knowledge, operational subject matter expertise and engagement of consultancy services. The business of Business Analysis training and certification programs has taken notice of this and is responding to the above influences and pressures as well. Reliance on these consortiums is at an all-time high. The ubiquitous International Institute of Business Analysis (IIBA) remains outstanding with its business analysis certification program and now the Project Management Institute (PMI); an organization more known for its project, program and portfolio management standards, is offering a Business Analysis certification program of their own. Other organizations with an educational template are also experiencing a surge in business with requests for training services for the business analyst neophyte as well as the continuing education choice of the seasoned analyst practice professional. The message is clear. As enterprises drive to maximize efficiencies and mission execution, business analysis as a service is not only needed but it is an equally critical component in the orchestration and delivery of business. However, if business analysts are still the primary content delivery arm of all project initiatives, they need to not only have a support structure to develop and raise competencies but the structure itself needs to be thoughtfully positioned to serve the organization as a whole in a capacity in par or commensurate with other strategic corporate units. This center of focus is both tactical and strategic. The tactical addresses the management of the practice of business analysis; communication of standards and methodologies, assessment and use of requirements management tools and the management and resource distribution of business analysis as a service. The strategic side is positioned to develop and expand on domain knowledge; analytics, enhancements to business process improvements, and to serve as a valuable research area for embryonic corporate initiatives. This is where a well-structured BA CoE comes into play. BA CoEs, in one form or another, have been around for over two decades. This longevity may very well speak for itself as this is a very long time given today’s appreciation and variety of methodologies, and the technological developments to support them. Much of the discussions around BA CoEs however have remained static. While other disciplines have modified their approach to continue to be of value; allying their tactic to compliment the focal points of a company, the dialogue around business analysis and BA CoEs has remained limited to the subject of process. So the challenge then is, how to best articulate the very real, quantitative and measurable value and impact of a BA CoE to a company. Given the business complexities faced by many organizations today, the necessities to make every dollar count, and the speed at which decisions need to be made; how to ask for a new cost center or staffing or capital dollars or yet another re-organization to realign an existing BA CoE or accommodate a new BA CoE. How to elevate the discussion above the narrative of a costly BA CoE for the purpose of just developing competency framework and of policing the delivery of “quality” requirements? With perhaps the exception of those overnight booming “dot com” companies, all businesses struggle with improving the “bottom line”. There is always that delicate dance between capital and operational expenses, allocation of funds and budgets for new initiatives versus business as usual projects, and of course those expenses that are a must in order to keep the lights on and the doors open. Apply portfolio management of projects to any of these areas and at times, management of any of these financial responsibilities becomes an exercise in prestidigitation dexterity just to keep up with the speed and demands of the business enterprise. There are financial benefits projections, P&L and G&A documentation, SVA’s, earnings on project equity, capital utilization…etc. None of these terms and areas are new ways to manage corporate expenses and initiatives. However, the intense focused attention and the inordinate amount of time spent to manage these areas, is. Herein then are the problems / opportunities to move a BA CoE out of the value-neutral areas of process and methodology and into a productive, sustainable cost reduction and service delivery role. There are at least three domain spaces where a properly realigned BA CoE could deliver cost-saving opportunities and benefits that can be realized in the short and long term. I have introduced some of these concepts already but will provide additional details here. These new added dimensions by the way are in line with and complimentary to the current historical role attributed to BA CoE’s. As mentioned at the beginning of this article, the current business climate and competitive atmosphere is such that companies feel compelled to reduce cost whenever possible in order to minimize expenses, appear fiscally responsible to shareholders or to flatten the organizational structure in order to realize a desired financial benefit; a financial benefit that hopefully translates into funding for a host of new initiatives. Many of these cost-reduction strategies are commonly applied to minimizing or replacing the labor force of full time employees with temporary allocation of contractors. This is a very common go-to tactic. However, while this scalability method makes sense in the short term and for those unique projects where the knowledge base may not exist, it is not an effective long term model for all companies, projects and corporate programs. As a result, the presence of contractors at times can account for over 70% of the business analysts and project management in almost any given organization. Apply the cost differential factors between temporary resources and internal full time resources and it will not require an advanced degree in macroeconomics to understand where the financial over-commitments will be. Additionally and in the long run, this not only ends up representing an enormous drain on the company’s operating budgets but a significant domain knowledge loss as well to an organization once these resources move on to other engagements and possibly with competitors. A BA CoE, in addition to performing its role as a practice leader in a company, can help to mitigate project cost by operating as a resourcing partner. Working collaboratively with business unit leaders, it can help with project readiness and assessment of required analytical skills. It can source projects with the necessary talent from a pool of highly skilled and matured company BA’s. In this capacity, it can provide BA resources to the enterprise using a scalable consultative service approach, with the benefit of promoting requirements standardization, methodology and retention of domain knowledge. In this form, the BA CoE provides a clear direction for all business analysis work by using accepted best in class and best-practice methods to deliver high quality work in a consistent, predictable and repeatable manner; especially to areas challenged by the lack of these resources. It can also ensure the work will be performed with the critical knowledge of tested processes and methodologies. These resources would be full time associates thereby retaining and leveraging any acquired knowledge for the future benefits of other engagements. When absolutely needed, the BA CoE can provisionally scale up to accommodate any high demand for resources. The BA CoE would recover the cost of resourcing and departmental staffing through each project engagement. The shift in resource allocation exempts business segments of the need to sustain staffing beyond the absolute need thereby affording better operational budget management. How much should a BA CoE staff for, is solely driven by the needs of the organization. The financial benefits of this model, when exercised and extrapolated across the enterprise can be staggering. This is a simple mathematical exercise; the customary costly use of temporary staffing with no long term value and no commitment to the organization versus the effective repurposing of internal, known and skilled resources at considerably less cost with the added amortized value of knowledge retention. This is an incredible opportunity area where a BA CoE can demonstrate additional and critical value to any organization. Many companies are still relying on the use of productivity tools that have been around and virtually unchanged since the eighties to manage the thousands of project artifacts across departments, business units and lines of business. Think about this, if Word and Excel are the productivity tools of choice in your company to manually manage and communicate requirements today, you are using tools that were commercialized by Microsoft in the mid-eighties – three decades ago! Aside from the fancy graphical user interfaces they present today, very little in concept has changed since Word 1.0 and VisiCalc – yes, this is the precursor to Excel. The assessment and valuation of the many tools available in the market today to aid in business analysis and requirements management is no less significant than the commitments companies make to invest in technologies to manage corporate finances, development of new software and new product releases. Millions if not billions of dollars are invested yearly by companies today in new market ideas. Given the complexities of today’s project portfolios and programs, the expected ROIs, the operational expenses to support large and complex proposals and the dependencies on costly consultative assets to make it all happen, is it not about time we enter the twenty first century with twenty first century technology to manage and communicate business requirements in line with the corporate vision? I am not advocating technology for the sake of “the technology” or any particular requirements management software. I am however, in strong favor of investing in the most robust software that can meet and grow with the demands of the organization. I am encouraging the use of any software that can facilitate collaboration across the enterprise of any given company, provides the full measure of all that can be considered as requirements; Textual, Use Cases, UI Mock-ups, diagrams in native form, data or domain mapping…etc., The creation and cataloging of reusable artifacts…etc. These types of application software will accelerate development, compress timelines, produce better outcomes and ultimately save companies millions of dollars in operational expenses. Yes, the old saying “a fool with a tool is still a fool” is still worth remembering but is it not equally foolish to ignore benefits, savings, the bottom line purpose of what needs to be accomplished, the how and the when? How long can any company continue to expose itself to the inherent risks and expense of managing valuable information with hundreds of thousands disconnected Word and Excel docs? This is probably too ostentatious or presumptuous a title for a BA CoE but I am trying to make a point. Every now and then; year or as a result of, or in preparation for a reorganization effort or a new president or CEO/COO/CFO, companies will spend millions of dollars in organizational capacity readiness, maturity assessment or project management maturity studies. The monies invested likely support companies specializing in these fields who in turn use supplemental materials likely developed by internal resources within the hosting company; vis-a-vis business analysts and other like resources. To add additional relevant observations, when these organizations search themselves for temporary talent to support these engagements it is not unusual that these companies will use these very same type of resources, with the same skills currently present within the contracting organization. These resources may in fact come from other hosting organizations, who through some disillusionment or lack of recognition seek employment of this type with companies that are appreciative of their talent. If the above scenario appears too implausible or fancy or un-realistic, consider then the very common occurrence of a new project undertaking. A new product or service is to be advanced. Funding is acquired, staffing is committed and project timelines are developed. It is very likely that due to timing considerations; time-to-market concerns, decentralization of services, lack of or an unavailable documented experience, the project will commence as if it is a brand “new” endeavor. Given the benefits expected of this “new” program or product, the prospects are set high for a quick turnaround and with equally high expectation of realizing the expected ROI; all with an exceptional amount of pressures to deliver the project. The likely course of action for this project is to live with the limited amount of time to “analyze” the effort with the hope of mitigating the issues at engineering and deployment time; a well-known common and expensive approach. Had the organization had the benefit of the strategic management office described above it would have had the benefits of resources, reference libraries, domain knowledge expertise and the support structure to deliver the project within the expected budgets, ROIs and with minimal rework and defect remediation. It cannot be overstated. A well-defined and structured BA CoE in the twenty-first century will offer significant cost savings benefits and opportunities for any company who chooses to improve productivity. These advantages may be in the form of improvements to estimated project ROIs, better cost control of resources or helping the organization to realize new revenue cycles due to the expanded prospects brought about by the existence of these knowledge domain centers. Meaningful appreciation of project management cannot be realized solely by the manipulation of project timelines, financial projection devices and dependencies on “the technology”. It requires the services of Business Analysts – the content delivery arm for every project. The reliance on external temporary workforce augmentation services comes at a premium, impacting project budget considerations, time spent on training outside resources and the eventual loss of domain knowledge when these resources leave an organization. The strategic and quantitated value proposition of a BA CoE can be measured. It can be measured by the quality and success of projects, the savings brought about by the smart use and positioning of resources, the consistencies of work enabled by tested standards and methodology and the effective use of technologies to bring it all together. Technologies that will allow for the creation and use of centralized requirements artifact repositories, enterprise-wide views of all analysis artifacts, efforts, the relationships and dependencies of projects to one another as well as the impact to new initiatives. The amount of domain knowledge the BA CoE will accumulate with each successful business engagement is another area; acquired knowledge that can be leveraged again and again, to manage and maximize project speed-to-market. Another area is the direct or indirect correlation and alignment of a BA CoE to key corporate priorities and so on. Is a Business Analysis Center of Excellence (BA CoE) still relevant? You bet; now more than ever. 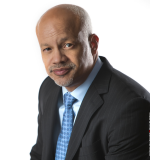 Robert Roldan is a VP and Program Director of Business Analysis Center of Excellence (BA CoE) with TD Bank. Robert has over 20 years of IT knowledge within the Financial and Healthcare industries and has held positions that included managing business analysis competencies, business requirements management model office concepts and ALM integration.